Chronic, biofilm-like infections by the opportunistic pathogen Pseudomonas aeruginosa are a major cause of mortality in cystic fibrosis (CF) patients. While much is known about P. aeruginosa from laboratory studies, far less is understood about what it experiences in vivo. Iron is an important environmental parameter thought to play a central role in the development and maintenance of P. aeruginosa infections, for both anabolic and signaling purposes. 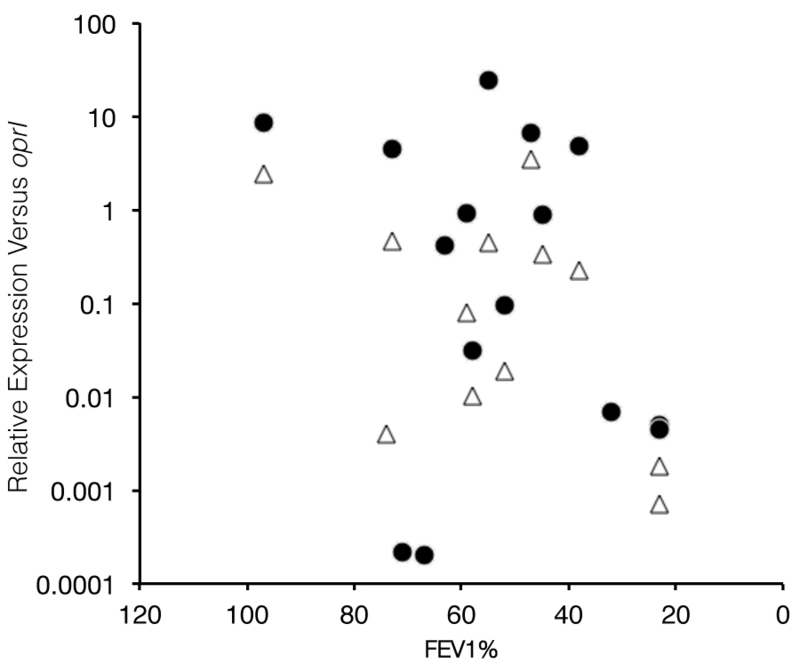 Previous studies have focused on ferric iron [Fe(III)] as a target for antimicrobial therapies; however, here we show that ferrous iron [Fe(II)] is abundant in the CF lung (~39 µM on average for severely sick patients) and significantly correlates with disease severity (ρ = −0.56, P = 0.004), whereas ferric iron does not (ρ = −0.28, P = 0.179). 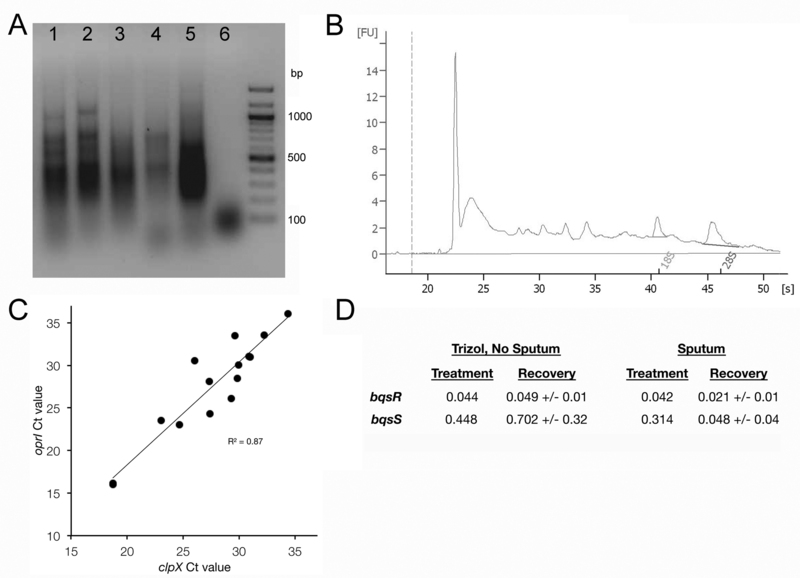 Expression of the P. aeruginosa genes bqsRS, whose transcription is upregulated in response to Fe(II), was high in the majority of patients tested, suggesting that increased Fe(II) is bioavailable to the infectious bacterial population. Because limiting Fe(III) acquisition inhibits biofilm formation by P. aeruginosa in various oxic in vitro systems, we also tested whether interfering with Fe(II) acquisition would improve biofilm control under anoxic conditions; concurrent sequestration of both iron oxidation states resulted in a 58% reduction in biofilm accumulation and 28% increase in biofilm dissolution, a significant improvement over Fe(III) chelation treatment alone. This study demonstrates that the chemistry of infected host environments coevolves with the microbial community as infections progress, which should be considered in the design of effective treatment strategies at different stages of disease. IMPORTANCE: Iron is an important environmental parameter that helps pathogens thrive in sites of infection, including those of cystic fibrosis (CF) patients. Ferric iron chelation therapy has been proposed as a novel therapeutic strategy for CF lung infections, yet until now, the iron oxidation state has not been measured in the host. 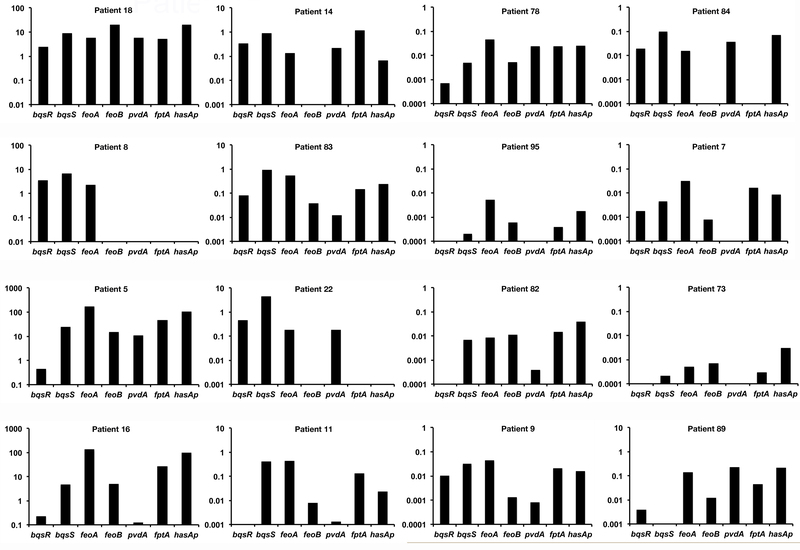 In studying mucus from the infected lungs of multiple CF patients from Europe and the United States, we found that ferric and ferrous iron change in concentration and relative proportion as infections progress; over time, ferrous iron comes to dominate the iron pool. This information is relevant to the design of novel CF therapeutics and, more broadly, to developing accurate models of chronic CF infections. © 2013 Hunter et al. This is an open-access article distributed under the terms of the Creative Commons Attribution-Noncommercial-ShareAlike 3.0 Unported license, which permits unrestricted noncommercial use, distribution, and reproduction in any medium, provided the original author and source are credited. Received 19 July 2013. Accepted 23 July 2013. Published 20 August 2013. This work was supported by the Caltech-UCLA Joint Center for Translational Medicine, the Webb Foundation, the Howard Hughes Medical Institute, and the National Heart, Lung, and Blood Institute of the National Institutes of Health under award number R01HL117328. R.C.H. is supported by the NHLBI under award number 1K99HL114862. J.D. is supported by a fellowship from the Agentschap voor Innovatie door Wetenschap en Technologie (IWT). D.K.N. is an HHMI Investigator. We thank staff at CHLA and UZ Brussel for assistance. We also thank Y. Lim and F. Rohwer (SDSU) for guidance on mRNA preparation from sputum and members of the Newman lab for constructive feedback. Hunter RC, Asfour F, Dingemans J, Osuna BL, Samad T, Malfroot A, Cornelis P, Newman DK. 2013. 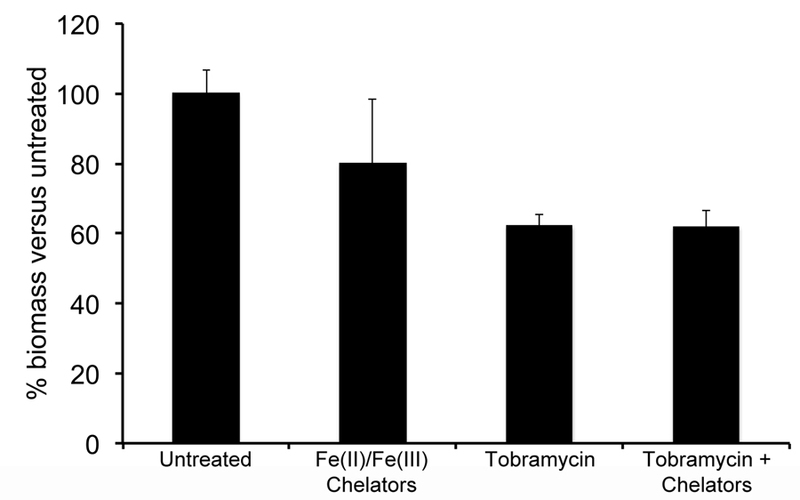 Ferrous iron is a significant component of bioavailable iron in cystic fibrosis airways. mBio 4(4):e00557-13. doi:10.1128/mBio.00557-13.